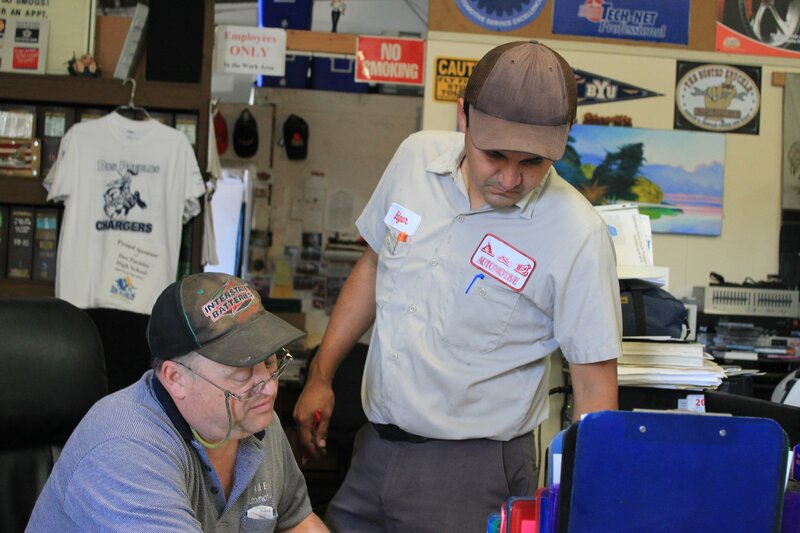 A & E Automotive in Goleta, CA offers complete auto repair services on your autos and light trucks, as well as preventative care and maintenance. Our auto repair shop provides repair, replacement, and maintenance on all internal parts, including electrical systems, transmissions, and much more. Call 805-964-8276 to find out more about our available services. It is important to keep your vehicle running properly at all times we offer a number of services in the Goleta, CA 93117 area that are carried out by our certified, expert auto service and repair technicians who have years of experience performing everything from oil changes to a complete engine overhaul. Our Warranty program covers most parts and labor for 24 months or 24,000 miles, whichever comes first when traveling more than 25 miles from the original TECH-NET PROFESSIONAL AUTO SERVICE repair facility. Preventive vehicle maintenance is simply what the manufacturer of your vehicle suggests getting done to keep your vehicle going. Whether you have a car or truck we provide the maintenance services to keep it running well. We’re committed to providing high-quality services at fair prices. We have built our reputation on fast service, correctly diagnosing problems, only using quality replacement parts and giving you unmatched customer service. In Goleta, CA when your vehicle needs repair or if it is just time for standard tune-up or service, A & E Automotive is the auto repair shop that not only wants you to come back, but also wants you to bring your family and friends too. No job is too big or too small. Regardless of whether you need a maintenance inspection or a tire repair, you can trust that we will get the job done right. All you need to do is give us a call and we’ll take care of the rest. Our dedicated professionals have decades of experience and are trained to provide you with the solutions you need—at the price you deserve. Our experts have the knowledge to service and repair even the most challenging auto problems on all makes and models of domestic and import vehicles We guarantee all of our work and know you’ll be happy with the outcome. Stop in or give us a call at 805-964-8276 to let us know how we can help you! Located at 300 B Pine Ave Goleta, CA 93117.